As a manager, you might find yourself shying away from the roles that you least favour. To some, the role of a manager might sound clear. From managing budgets to training, the job requirements of a manager might vary greatly. 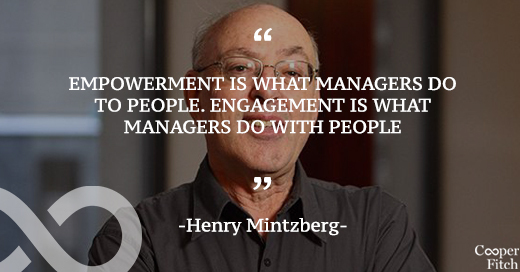 Dr. Henry Mintzberg, a prominent management researcher tried to discover what are the true duties and responsibilities of a manager. While in 1916, Henri Fayol was the first person to define a manager, Mintzberg's empirical research involved observing and analysing the activities of five CEOs for one week. After his detailed research, Minztberg published his “Ten Management Roles” in his book “Mintzberg on Management.” In order to organise the list of ten roles, they have been divided into three categories: interpersonal, informational and decisional. One of the most important roles of a leader is to be a figure or symbol to the rest of the team. They act as a source of inspiration and a support system that the rest of the team can turn to in times of need. In this light, a manager is seen as a symbol of status and authority. A good leader in that sense will project confidence so that everyone involved feels a sense of security and reassurance that a job will be done right. Every team should have a specific goal and a manager needs to lead their members towards a specific goal. This can include telling people what to do and what not to do. The manager who organises the structure of their team and highlights the skills they possess is a true leader as they also have the ability to identify the strengths and weaknesses of every individual. This is another interpersonal role and they maintain a network outside the vertical chain of command to obtain information. This type of management role is concerned with the information and communication obligations of a manager. One must network and engage in information exchange to gain access to knowledge bases. The monitor is the first category that falls under informational roles. These roles require receiving, collecting and disseminating information. A monitor seeks internal and external information about issues that can affect the organisation. From internal operations to departments’ success, they should always be on the top of the problems and opportunities that may arise. As a disseminator, the manager transmits factual information that is obtained internally or externally to his subordinates and to the other employees within the organisation. This role requires filtering communications and strong delegation skills. The role of the spokesperson requires the transmission of relevant information about the organisation to outsiders. It serves in a PR capacity, by informing key stakeholders about the operations and updates of an organisation. This is the first role that falls under the decision-making category. The entrepreneur acts as an initiator, designer and they encourage change and innovation. This role encourages creating improvement projects and work to delegate. They are responsible for empowering and supervising teams in the development process. When an organisation or faces difficulties or roadblocks, it is the manager who must take charge to mediate disputes. Even though this is a generalist role, a disturbance handler should take full responsibility when the business requires support and calming. The resource allocator distributes resources of all types and these include time, funding, equipment and human resources. They are also required to oversee financial material and personnel resources. As a negotiator, the manager is required to participate in negotiations with other organisations and individual. They are responsible for engaging in discussions around everything from salary negotiations to procurement terms. As a manager, you might find yourself shying away from the roles that you least favour. One way of finding whether you are fulfilling all managerial roles is rating yourself from 1 -5 to (1 being very skilled to 5 being unskilled) and keep track of your improvement. Stay tuned with Cooper Fitch blogs to find out how to sharpen your tools in order to master all managerial roles.